Land Rover is famous for crafting the vehicles that even the Queen of the Kingdom loves to drive herself. Land Rover always tries to keep its success formula secret and they do not want to tell that what actually makes its Range Rover a real success. Is it’s robust styling? World class Ingenium engines, or the world’s best 9-speed automatic gearbox? Every factor listed is out of the blue and can be selected as a success factor of the vehicle. People in the UK love to go smarter by wearing short dresses and skirts rather than the old bulky full dresses used in the past. Those dresses were even hard to wear and carry over. Similarly, when it comes to the vehicles, they love to buy local British made vehicle and Land Rover has learnt that how to tackle this situation, and they well learnt the trick of success. They sell a number of Land Rovers to the royal family in the past and all they become an iconic ride for the Britishers because their Queen loves to drive one. The Dukes and the Duchess of the different areas also use the Land Rovers, even Prince William and Kate, used Land Rover. Prince Louis, Prince Charles, Prince Harry, Princess Anne, Princess Eugenie, Princess Beatrice, Prince Edward, love to have Land Rover. Queen Elizabeth II is a true lover of Land Rover since ages. Even her father late George VI has gifted a Land Rover in 1948 and he was delighted to be with it. Prince Philip and the Queen have their customised Land Rover. The Range Rover models sitting on the top of the range readily offered with 2.0-litre petrol engines, capable of generating 237bhp. Similarly, the Ingenium diesel engines are even better power units to have for both off-road and on-road cruising. The entire engine family is paired to Land Rover 6-speed automatic gearboxes in the UK as standard. These gearboxes are capable of transferring power on all four wheels. According to the Land Rover, these gearboxes are the most innovative transmissions built so far. The all-new 9-speed Range Rover gearbox for sale in the UK is a ZF manufactured transmission. It is a ZF 9HP transmission reproduced from a six-speed transmission. The number of gears in the transmission has been increased to nine from six in a standard transmission and reduced the ratio steps. A spread of 9.3 with even smaller levels have boosted up the efficiency of the Range Rover gearboxes. This transmission was introduced in 2013 and now has reached its level best. 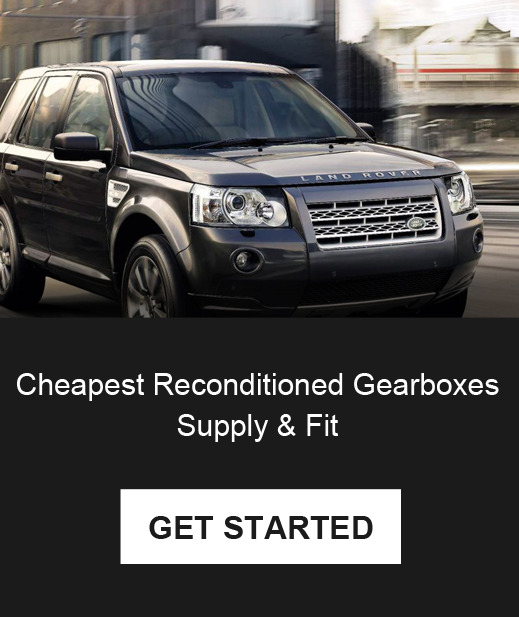 Previously used transmissions in the UK have almost completed their first life cycle and Range Rover Reconditioned automatic gearbox is the better option now for better performance and efficiency. Used transmissions do not give such a great fun and driving pleasure at all. The first ever sign of a damaged transmission is warning light when a gearbox warning light is ON, it can risky driving the vehicle for long. It is important to investigate the transmission faults and then drive. Driving with a warning light ON can cause serious damages to the gearbox and it is also possible that the vehicle can go into the limp home mode. This mode will reduce the vehicle’s speed and drive efficiency and reduce the top speed to reduce the stress on the gearbox. It is recommended that you must visit your nearest garage to have a detailed diagnostic of the transmission.